Sweta Bhusan is currently working as a Senior Researcher with Collaborative Research and Dissemination (CORD), New Delhi. She got her Ph.D. degree in 2016 and M.Phil. degree in Geography in 2010 from the Centre for the Study of Regional Development (CSRD), Jawaharlal Nehru University (JNU). Sweta’s research interests span across demography, education, gender studies, GIS, nutrition, remote sensing, and urbanisation and its associated problems. She has been an integral part of DST, ICSSR and UGC funded projects in JNU and has made significant contributions in developing a 'Gender Atlas'. She has also worked as an independent consultant with CARE India. 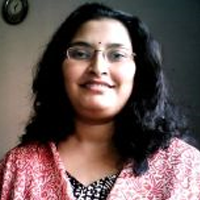 Sweta’s contribution has been published in several journals and edited books.